In an initiative designed to recognise the loyalty of our students, the University of St Andrews offers a 10% discount in postgraduate tuition fees to students who are eligible to graduate or who have graduated from St Andrews within the last three academic years and are starting a postgraduate programme with the University of St Andrews. Students will only be eligible for the discount upon unconditional offer of a place on a postgraduate degree programme. More information about the Recent Graduate Discount Scheme can be found here. If you wish to be considered for any SASP funding, please indicate clearly in your application whether you are a Home, EU or Overseas applicant. Only applications received by 5th January will be considered for funding. We hope to allocate funding in late March. The Home/EU fee waiver can be awarded to an Overseas fee-paying student, who will then be required to meet the remainder of the tuition fee from other sources. If you wish to be considered for an AHRC studentship, please indicate this on your application, which is due by 5th January. The Department will nominate some of the applicants to the Scottish Graduate School for Arts and Humanities for consideration for an AHRC award. The AHRC award comes with a full fee waiver at Home/EU fee level for three years. For UK winners, it also comes with maintenance for three years (around £15,000 per year). St Andrews may also offer EU AHRC winners the opportunity to apply for maintenance awards equivalent to those offered to UK winners by the AHRC. 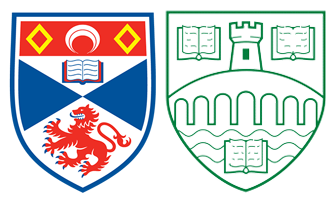 St Andrews and Stirling are both committed to helping as many students as possible continue in higher education through scholarship opportunities. There are a wide range of postgraduate scholarships available for you to apply to either via the university or directly via charitable organisations. Please see the extensive information, tailored to your programme of study and fee status, available via the University of St Andrews. You are also eligible to apply for funding opportunities available via the University of Stirling and can access detailed information on scholarships here. The SASP programme provides opportunities for suitably-qualified postgraduate research students, with the consent of their supervisor, to deliver tutorials on sub-honours modules. The allocation of teaching responsibilities is dependent on varying factors and SASP is not in a position to be able to guarantee that all postgraduate research students will be provided with teaching experience during their period of study. It is important to note that it is not possible for a postgraduate research student to fully support themselves by teaching. There may be a possibility of funding for MLitt students, though we are not sure yet. If it becomes available then it will be offered on a competitive basis. Applicants will be automatically considered for funding, should there be any available. Scottish students may apply for Carnegie Cameron Post-Graduate (Taught) Bursaries for MLitt. You are also eligible to apply for funding opportunities available via the University of Stirling and can access detailed information on scholarship here.